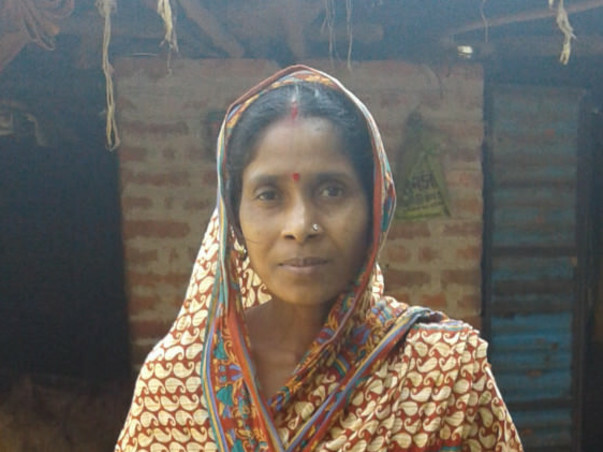 Dipti Mandal, a 34-year-old woman, lives in Kunala village in Birbhum district, West Bengal. Dipti lives with her husband, a daughter, and mother-in-law. Her household of four receives a monthly income of Rs. 10,000 and Dipti manages to save Rs. 2000 from this. Balai, Dipti's husband, is involved in vegetable cultivation and this is the family's primary source of income. He possesses good experience and knowledge in vegetable cultivation and Dipti assists him in agricultural activities as well. There is a huge demand for chillies in their village and so Balai wishes to grow them. To grow good quality chillies on a large scale, Dipti is seeking a loan of Rs. 20,000 from Sreejan, a field partner of Milaap. The loan amount will be used to buy seeds, fertilizers, and other farm resources for chilly cultivation. The couple expects an increase of Rs. 1000 to their income after growing and selling chillies. Dipti is confident of repaying the loan within the stipulated time of 12 months. SREEJAN, a social enterprise operating in rural eastern India, provides holistic support to alleviate poverty and empower women. Its members are women from poor rural families. The Holistic Livelihood Program it runs in Birbhum, West Bengal, includes credit, capacity building, training, and market linkage services to rural micro-enterprises.